Welcome to the 19th annual edition of our popular and well established Trailquest/MTB orienteering series. Taking place in the superb surroundings of the Peak District National Park with its brilliant network of bridleways, green lanes and quiet country lanes plus stunning scenery it is a great way to keep you fit and active throughout the winter months. 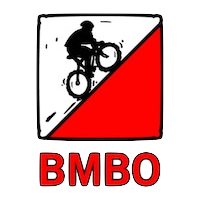 Trailquest/MBO’s are suitable for all ages and abilities so long as you (a) can competently ride a mountain bike off-road and (b) know the basics of reading an OS map. The map reading and route planning will challenge your mental resolve whilst the hills and dales of the Peak District will undoubtedly test your physical fitness – be mindful however on these events that the fittest/fastest rider is not always the winner! Entries can either be as a pair or solo. All events are held from undercover venues meaning whatever the weather throws at you post-event you can re-heat and re-hydrate and sit back and chat the ifs and buts with fellow competitors over a cup of tea and a biscuit or two. Events can be entered individually, alternatively if you decide to enter the whole series your best three results will count towards series overall. Event timing is by SPORTident systems. Full colour over-printed OS map sections are provided. Waterproof maps to be provided on all events. Within the time allowed (3 hours), visit controls and collect as many points as possible – route planning is as important as fitness. Lateness penalties as per standard BMBO rules. Control sites will be identified by bright coloured tape on an obvious feature to which a SPORTident box will be attached. “Dib” in the SPORTident box at the Start, Finish, all controls visited and the download box at the end. You must use a SPORTident dibber to take part in these events. You may use your own dibber if you have one (please fill in its number on the entry form). If you don’t have your own dibber we will rent you one automatically. Teams please note: both members must carry and use a dibber. Exact venues/locations will be released 1 month before each event – full details will be on the D&W website. Look out for Dark & White yellow/black directional road signs at all events. If in doubt as to the location, please contact us BEFORE the day of the event. NB: SOME OF THE CAR PARKS MAY BE PAY & DISPLAY. All courses close 1.30pm. Hot drinks, orange juice and biscuits will be available at the finish. For online entries scroll down the page and follow the appropriate links. No final event details will be published or sent out. If you wish to have confirmation of a postal entry please enclose an sae with your entry. Event numbers may well be limited – email info(Replace this parenthesis with the @ sign)darkandwhite.co.uk or text 07970 278085 if entering late to check if places are available. Provisional results will be displayed on the day. Results will be posted on the results page after the events. NB – classes may be merged for prizes if entries are low. Series class placings and trophies will be awarded based on a minimum of three events being completed as either a solo or as a pair/team but not as a combination of both. A roadworthy mountain bike, helmet (ANSI or BSI only – not climbing, caving or canoeing types), watch, relevant map, first aid kit, money for phone calls or a mobile phone, suitable clothing for the prevailing weather conditions including quality waterproofs are compulsory for these events. VERY IMPORTANT – there will be a limited number of entries. The maps are being produced for the event only. Pre entry is strongly advised! Entries for each round close at midday on the Friday preceding the event. For late or on the day entries please email us at info(Replace this parenthesis with the @ sign)darkandwhite.co.uk or text 07970 278085.